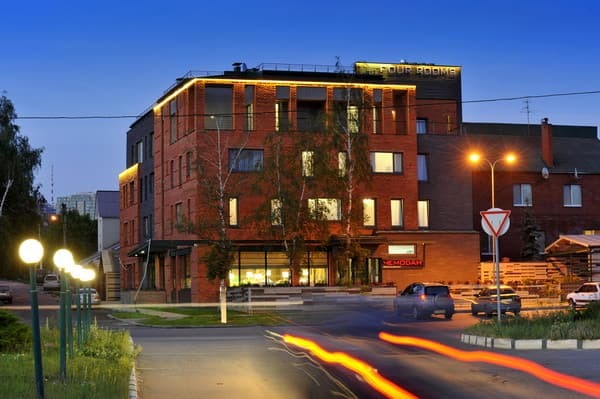 "Villa Four Rooms" is located on the central main street of Kharkov. 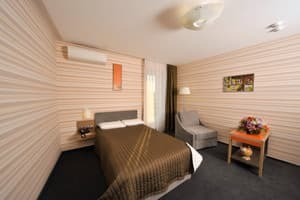 The original interior design will pleasantly surprise you: soft sofa areas, cozy backroom corners, windows, and more, designed for your pleasant stay and pastimes. 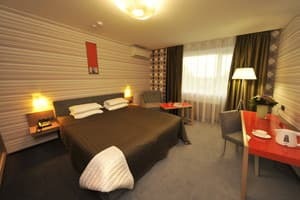 The hotel offers 22 spacious rooms with modern design. 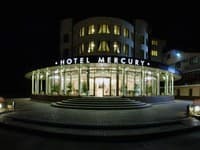 The hotel has a large summer terrace, lobby bar and restaurant "Chemodan". Guests can visit the SPA-center with sauna, hammam, jacuzzi, gym. 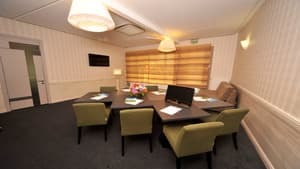 Hotel has a comfortable meeting room with a capacity of 15-20 seats. 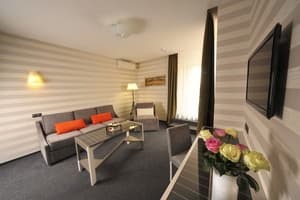 Description of the room: Cozy room, total area - 29 sq.m, area of ​​the room - 18.5 sq.m, entrance hall - 2.5 sq.m, bathroom - 8 sq.m. In the room there is a comfortable bed with latex mattress, Ergonomic pillows, a closet for clothes, a desk, an armchair, a floor lamp, a 32-inch LCD TV, dishes for a tea ceremony. Increased noise insulation of windows and entrance doors. Safety system. The windows overlook the neighborhood or the patio. Description of the room: Cozy room, total area - 26 sq.m: rooms - 18 sq.m, entrance hall - 3 sq.m, WC - 5 sq.m. The room has a bed with a mattress of 120 cm, a sofa with a folding mattress -140 cm, a desk, dishes for a tea ceremony, an armchair, a floor lamp, LCD TV with a diagonal of 32 inches. Increased noise insulation of windows and entrance doors. Safety system. All doors are 1 m wide. 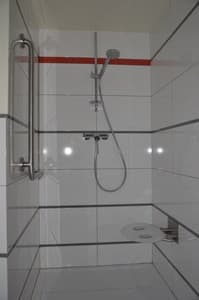 In the bathroom there are handrails, elongated plumbing fixtures, a seat and a holder in the shower. For 1-bed accommodation, the price of the room is 600 UAH. Description of the room: Cozy room, total area - 27 sq.m: rooms - 18 sq.m, entrance hall - 4 sq.m, WC - 5 sq.m. The room has a double bed with latex mattresses, Ergonomic pillows, a closet for clothes, a desk, dishes for a tea ceremony, an armchair, a floor lamp, a 32-inch LCD TV. Increased noise insulation of windows and entrance doors. Safety system. The windows overlook the surrounding area. For 1-bed accommodation, the price of the room is 600 UAH. Description of the room: Cozy room, total area - 27 sq.m: rooms - 18 sq.m, entrance hall - 4 sq.m, WC - 5 sq.m. 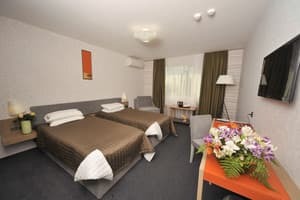 In the room there are 2 single beds with 2 latex mattresses of 90 cm, Ergonomic pillows, a closet for clothes, a desk, dishes for a tea ceremony, an armchair, a floor lamp, a 32 "LCD TV. Increased noise insulation of windows and entrance doors. Safety system. The windows overlook the surrounding area. For 1-bed accommodation, the price of the room is 600 UAH. Description of the room: Spacious room with a total area of ​​46 sq.m: living room - 17 sq.m, bedrooms - 12 sq.m, entrance hall - 7 sq.m. Open terrace - 25 sq.m. The bedroom is equipped with a high latex mattress with a layer of "Memory" 180 cm and pillows Ergonomic. The room is equipped with a folding sofa and armchair, 2 LCD TVs with a diagonal of 32 inches, dishes for a tea ceremony, 2 wardrobes, an armchair, a floor lamp, a desk. Increased noise insulation of windows and entrance doors. 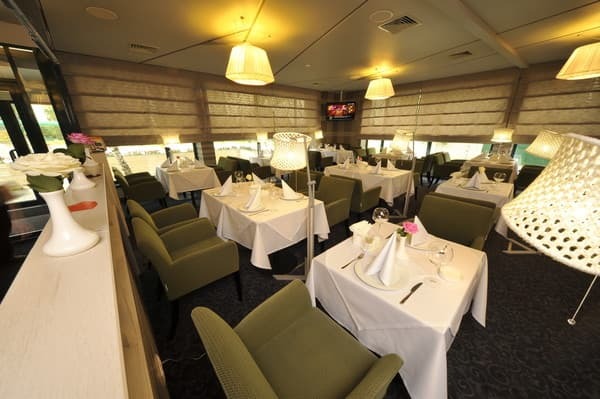 The room has its own large terrace with a view of the city from a height of 15 m. The rooms have stained glass windows with a view to the terrace. Safety system. 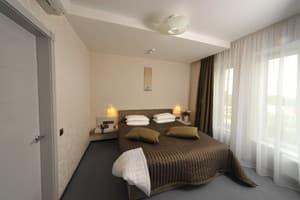 Description of the room: A spacious room with a total area of ​​65 sq.m, a living room of 20 sq.m, a bedroom of 12 sq.m, a hallway of 5 sq.m, a guest WC of 2 sq.m, a main room of 11 sq.m, a terrace - 18 sq.m. The bedroom is equipped with a high latex mattress 180 cm and pillows Ergonomic. The room is equipped with a folding sofa and armchair, 2 LCD TVs with a diagonal of 32 inches, 2 wardrobes, telephone, floor lamp, writing table, dishes for a tea ceremony. In the living room, stained-glass windows with a view and access to their own outdoor terrace. Increased noise insulation of windows and entrance doors. Safety system. Extra bed - 110 UAH. 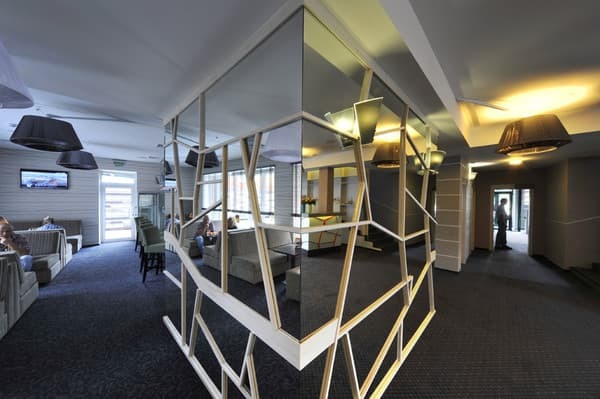 The hotel has a large summer terrace, a lobby bar and a restaurant "Suitcase". 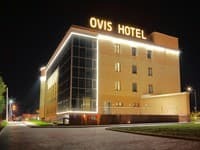 Hotel "Villa Four Rooms" is located on the central main street of Kharkov – 250 Klochkovskaya street, near all the main infrastructure of the city. A trip to the airport will take 20 minutes (11 km); Stadium "Metalist" - 20 minutes (10 km); to railway station - 8 minutes (5 km); to the city center (Svobody Square) - 5-10 minutes (4 km). 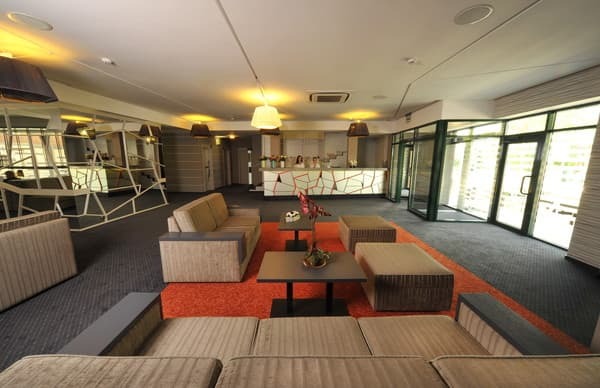 The hotel is in close proximity to the highway E40, E 105 (federal highway M2). To the metro station "August 23", which is 900 meters from the hotel.